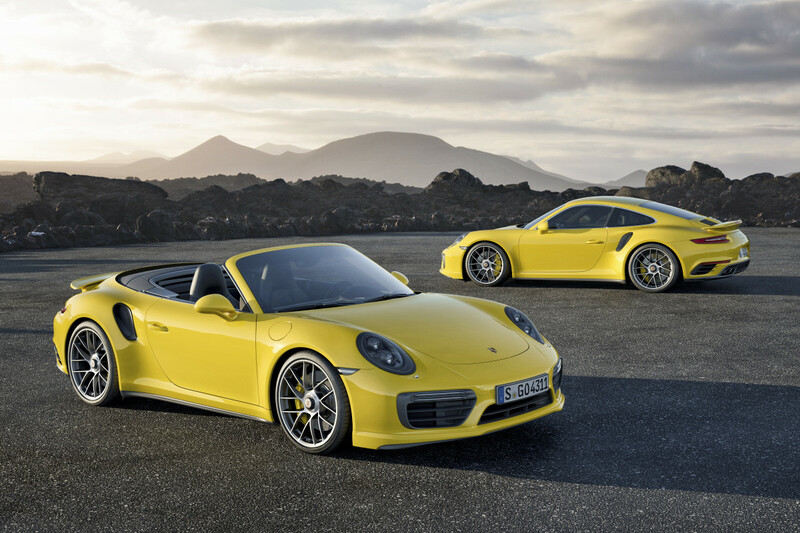 The German marque brings even more power to the 2017 Turbo. 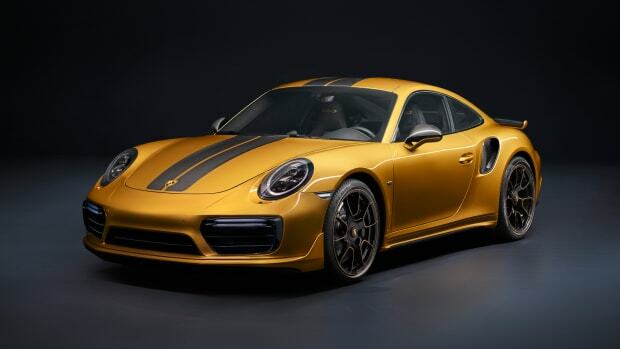 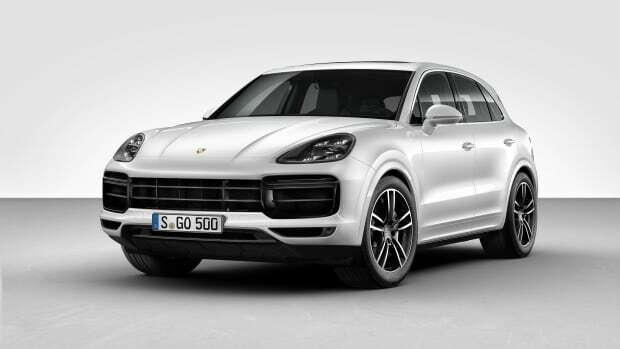 If you&apos;ve been following Porsche lately, you&apos;ll notice that the company has become a bit turbo-crazy and now they&apos;re focusing those turbocharged efforts on its ultimate 911s, the Turbo and Turbo S. Those incredible 3.8L, twin-turbo six-cylinder engines will pump out even more horsepower for its new model year with 540 hp in the Turbo and and 580 hp in the Turbo S.
When it comes to speed, these things are some of the fastest 911s ever with a 0-60 time of 2.8 seconds in the Turbo S, 2.9 in the Turbo, and a top speed of 205 mph in the S and 198 in the Turbo. 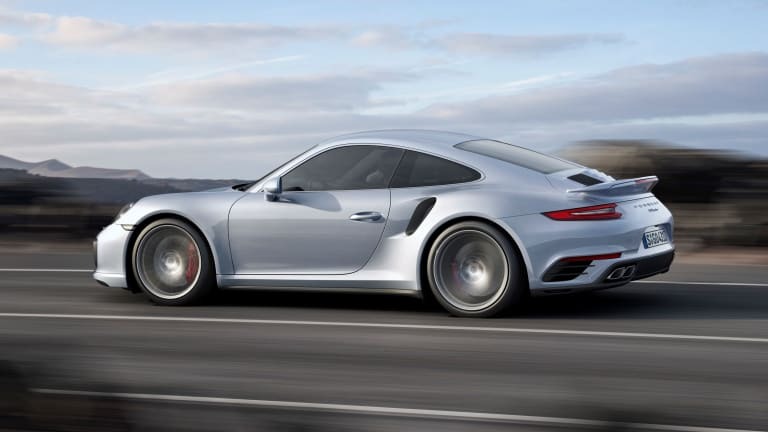 You&apos;ll also notice the fresh new design details with its subtle redesign of the front end and a more dramatic rear with new three-dimensional taillights, redesigned tailpipes, and a brand new decklid that feature right and left vent vanes and a middle cover that optimizes air induction for the engine. 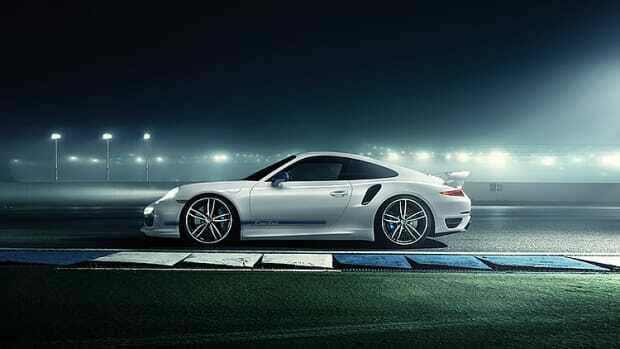 The limited edition is their most powerful Turbo S ever. 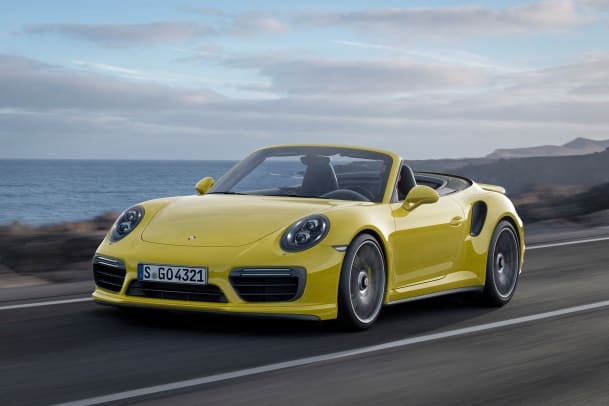 The 4.0L V8 will produce 550-hp and 567 lb-ft of torque.